GoPro For Vlogging – Is It A Good Idea? When you’re starting out as a vlogger, you’ll have a lot of different options when it comes to picking a camera. One option that is often the topic of debate is the GoPro. Almost everyone has one, but is using a GoPro for vlogging a good idea? The answer is a little complicated, and isn’t so black and white. 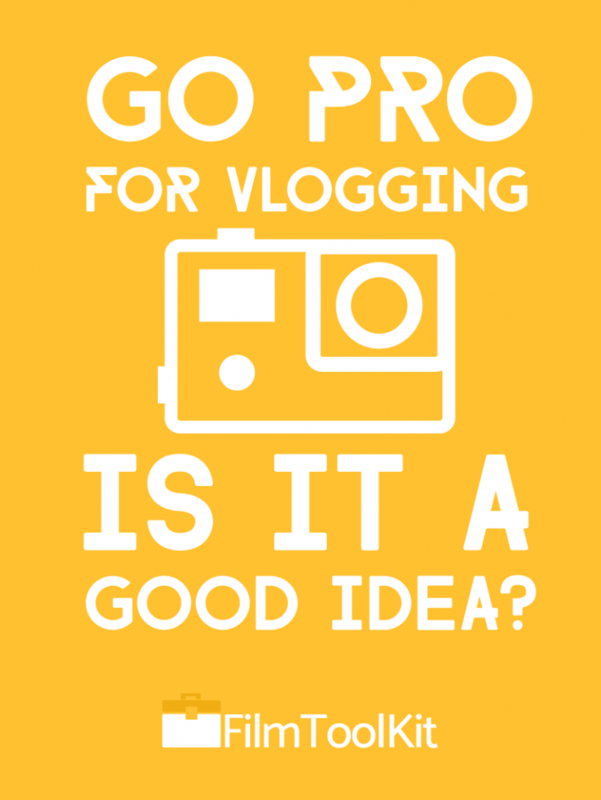 We’re going to do our best to help you decide is vlogging with a GoPro is the right move for you! We’re going to discuss whether or not it’s a good idea, which GoPro you should use in your Vlogs, the pros and cons of GoPro vlogging, and finally, some tips on things you can change to make your GoPro video footage look as good as possible. Let’s get right into it! 1 Is Using A GoPro For Vlogging A Good Idea? 1.1 Which Is The Best GoPro For Vlogging? 1.2.1 There’s so much versatility! 1.2.2 It’s relatively cheap, and chances are you probably already have one. 1.2.5 It’s small and rugged as hell. 1.2.6 The GoPro app gives you tons of capabilities you would never have with a normal DSLR. 1.2.7 You won’t stand out in public. 1.3.1 It will never be capable of everything a proper DSLR is. 1.3.2 The audio quality leaves something to be desired. Luckily, there are some GREAT microphones. 1.3.3 You won’t be able to monitor your footage while you record yourself. Is Using A GoPro For Vlogging A Good Idea? We’ll give you a quick answer here before we get into the details of it. Firstly, if you have access to a modern smart phone like the Google Pixel or iPhone X, you’re better off doing all of your vlogging on your phone. The camera quality is even enough to dominate lower-end DSLRs! It will definitely outclass a GoPro in every category aside from versatility. This video below is an excellent example of how much potential a phone like the Google Pixel can have. Now that we’ve gotten that out of the way, the answer is yes. We think if you have the proper additional equipment, a GoPro can be an excellent primary vlogging device. Even if you already have a DSLR as your primary device, a GoPro is an excellent secondary one. If you are the type of YouTuber that records crazy stunts or does a lot of outdoor activities, it’s probably the best camera for vlogging you’ll find. 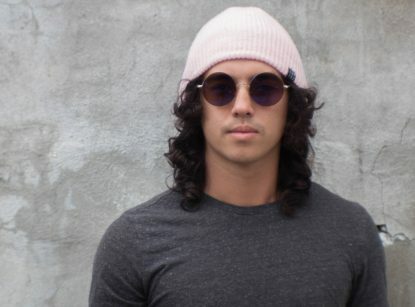 All of the models are decent candidates, and the most recent models are even capable of producing professional-quality vlogs with the right accessories. So, before we get into the article, let’s talk about which one you should buy if you don’t already have one. Which Is The Best GoPro For Vlogging? After taking a look at all the GoPro models on the market, we think that the best GoPro for vlogging is the GoPro Hero 5 Black. This is the GoPro we will be referring to for the remainder of this article. This may come as a surprise to you because it’s not the most recent model available, but hear us out. The GoPro Hero 6 Black launched recently towards the end of 2017, with a few minor stat boosts. With it’s release, the GoPro Hero 5 received a hefty $100 price drop. The stat increase between the Hero 5 and the Hero 6 is fairly minor. It’s capable of 4k Video at 30 FPS, 2K at 80Fps, and 1080p at 120 frames per second. That means you can not only get super high-res clips that are easy to re-frame in post, but you are also capable of shooting awesome slow-mo stunts as well. The GoPro Hero 6 has roughly double the shooting power, with 4k at 60FPS and 1080p at 240 FPS. Clearly, there’s a big jump there, but if we’re being completely honest, it’s a bit overkill. Vlogs will look their most natural at 24 FPS 4k, and shooting 4k 60FPS will cause your MicroSD cards to fill up really fast. With the money you save by buying the cheaper model, you can invest in external equipment that will be vital to getting the most out of your GoPro in your vlogs. The jump up in video quality will be much more significant than what you can get off of those simple stat boosts. We’ll talk about that equipment a little bit later. The Hero 5 is also the first GoPro camera to implement internal image stabilization, a feature that is absolutely critical to your vlogs unless you want to give your viewers motion sickness. We’ll discuss it further later. Below is an example of what the GoPro Hero 5 Black is capable of. We think it’s pretty impressive. The video above was 100% shot on a GoPro. The reason why most people’s footage doesn’t look like that is because they skip many essential parts of the production process. They don’t set their camera to the right settings or make any adjustments to the color in post. We have resources that can show you how to do all of that at the bottom of the page, so let’s get right into our list of Pros and Cons. Note: If you really want to buy a GoPro Hero 6, or you already own one, don’t get us wrong, it’s definitely better. However, most people won’t be able to tell the difference between the two, so we suggest just going with the 5. Writing this article, we were actually really blown away with how many benefits there are to vlogging with a GoPro. Here’s a complete list of all the things that make GoPro vlogging great. Helmets, poles, body rigs, bike mounts – there are a million different ways to shoot things with your GoPro. You can mount it on just about anything to get super creative with your shots. You’re not going to be mounting your DSLR on a boat anytime soon. You can squeeze the camera into tight spaces no other camera can, and you can even mount it on a freaking drone. Big Hollywood films that typically use $100,000 camera rigs even use GoPros for creative shots all the time. That’s how versatile they are. Plus, if you’re swimming around underwater, riding around on your bike, or doing other extreme sports, a GoPro would be your only option anyways. It’s relatively cheap, and chances are you probably already have one. In our experience doing camera reviews, spending less than $300 on a camera is typically a crapshoot. Even some of the lower-end camcorders capable of the same stats can run you over $400. The GoPro Hero 5 outclasses these in nearly every way. Besides, GoPros are so commonplace today that it is very likely you were already given one for Christmas. Even if that’s not the case, you probably have a friend who already has one tucked away in their closet never getting used. Ask around! If these words came up at any point in the last 5 years, they would definitely be in the drawback section. However, with the GoPro Hero 5 onward, GoPro has managed to implement excellent image stabilization into their tiny little miracle devices. Active image stabilization removes most of the shake from your videos, reducing motion sickness and drastically improving image quality. Stabilized footage is the difference between watching a video and living a video, and we don’t recommend vlogging without some form of it. With previous models you would have needed to splurge on a stabilization gimbal to get smooth shots, but with the Hero 5 and beyond, it’s all stable and ready to go out of the box. The video below is an excellent example of how much of a difference the active image stabilization makes. The tiniest shaking can completely ruin your footage without it. GoPros are known for their ultra-wide fish-eye lenses, which are also great for vlogging. Having a wide lens will allow your viewer to see as much as possible, which is kind of the whole point when you’re trying to share your life with the audience. Note: Some people are actually really turned off by the fish-eye lens. Don’t worry, it’s very simple to disable, just check the video at the end of this post to learn how to get a normal FOV with your GoPro. It’s small and rugged as hell. In our opinion, the best reason to do your Vlogging with a GoPro is it’s incredible portability. Sure, everyone wants to be a vlogger, but not everyone wants to carry a DSLR around with them at all hours of the day. They are large, heavy, and very fragile. Sure, you’ll bring it out with you when you plan to go out vlogging, but what if something significant happens and you don’t have your camera? The tiny form factor of the GoPro means that you can truly be a full time vlogger, ready to share your life with your audience at any given moment. Plus it’s a lot easier to sneak around if you’re at an event that’s not so friendly when it comes to filming. The GoPro app gives you tons of capabilities you would never have with a normal DSLR. Out of all the companion apps I’ve seen that are bundled with camcorders or DSLRs, the GoPro app feels like the most fleshed out and polished one by far. The amount of features that using a smartphone adds to your GoPro is incredible. This makes sense, as the camera is tiny and pretty difficult to manipulate when it stands alone. Here’s a short rundown of our favorite features from the GoPro app. You can find a full list of the key GoPro App features here. Having the capabilities of remotely controlling your camera with your smartphone will blow open up a giant array of new shots you can take. You’ll be one step closer to being the next Casey Neistat. You won’t stand out in public. This is a pretty minor advantage, but to some it might be huge. Hopefully I don’t piss anyone off with this. Walking down the street pointing a big DSLR at yourself can look kind of dumb. Okay, it really doesn’t matter what other people think, but don’t forget, there are also some situations in which recording yourself might not be totally appropriate. I’ve also seen just about every popular vlogger I watch get robbed for his camera at one point or another. If you’re a GoPro vlogger, you’ll be able to throw your entire camera rig in your pocket when you’re not shooting stuff. I’m confident that a good amount of you would prefer to be discrete with your vlogging. In any case, the GoPro + Pole combination carries much less stigma, and walking around with it in public makes you look like a tourist, rather than some wannabe. When doing research to write this article, I had several ideas in my head about potential drawbacks of filming with a GoPro. Battery and storage concerns was one preconceived notion I had. Another was the ability to adjust the exposure on the camera. Both of these issues that plagued the earlier generations are now a thing of the past. Extra battery packs are readily available on Amazon, and micro SD cards are as large as 256gb these days. The Hero 5 and beyond have adjustable exposure, and it seems like most of the major limitations associated with action cams are starting to fade away as of 2018. Of course, using a tiny action camera as your sole vlogging device is going to have a few drawbacks. Here’s the few things we could come up with. It will never be capable of everything a proper DSLR is. A tiny action cam will never have the same image quality that a high end DSLR vlogging camera will. For some, the ability to switch lenses, have depth of field, and shoot at varying shutter speeds may make a significant difference. Most people don’t care, but those with appreciation for the cinematic arts may not be satisfied with the limited performance of a GoPro. Of course, a “proper” DSLR kit could cost you over ten times as much as a GoPro Hero 5, and still wouldn’t be able to do certain things that GoPros can. I guess it all depends on what you have and what you’re looking for. The audio quality leaves something to be desired. Luckily, there are some GREAT microphones. The audio quality on a GoPro is not nearly as good as vlogging camcorders in the same price range. It’s far from the worst, but it always comes out a little bit muffled. If you really want true clarity with your audio, it’s a good idea to invest in an external microphone. Our recommendation is the Sennheiser MKE 2 Elements Action Mic. It’s a bit pricier than other options, but in our opinion, it is by far the best option. It’s pretty fairly priced at around $130, and is very rugged. The housing makes it nearly immune to wind noise, and the frequency response range is on par with all high-quality microphones. If you’re looking to take your GoPro audio to the next level, this is the best way to do so. Note: If you already own a 3.5mm Microphone you would like to connect to your GoPro, we recommend getting an external mic which can be hooked up via the official GoPro 3.5mm Mic Adapter. You won’t be able to monitor your footage while you record yourself. Unless you want to hold the GoPro app open in your phone the entire time you are recording, there is no way to see yourself while you record. 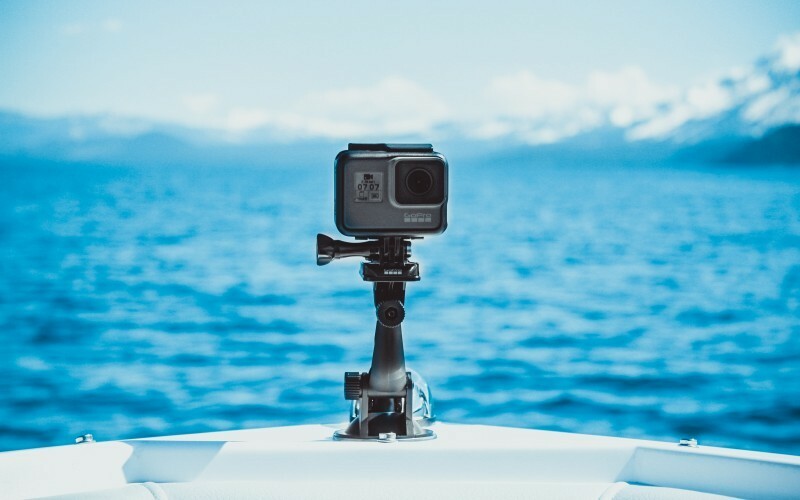 While many popular camcorders and DSLRs have viewfinders that can flip out and show you your framing and face while you record, the GoPro will lack this feature. We don’t think this drawback is too serious however. If you’re confident in your ability to frame the shot, there’s no real need to watch your footage live anyways. At least the more modern GoPro models allows playback right on the camera! So that’s it. That’s all the drawbacks. Pretty minor right? So get out there, chuck your DSLR in the trash, and get to vlogging! In this great piece of content, YouTuber Sara Dietschy discusses tips like reducing the FOV, changing the framerate/sharpness, and color correcting. It’s all really good advice that will help your GoPro footage vlogs look as professional and impressive as possible.